如何创建一个日程安排运行注册表齐磊？How do I create a Schedule to run Registry Reviver? 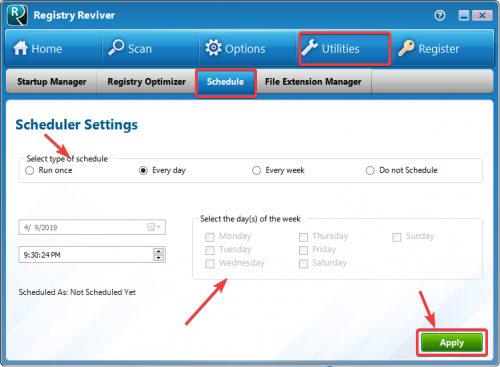 如何更改注册表齐磊的默认语言？How do I change the default language of Registry Reviver? 如何防止注册表齐磊运行每次我启动我的电脑？How do I prevent Registry Reviver from running every time I start my computer?